It began with Flight of the Nova-1 and progressed through Cold War Conundrum, The Nemesis Crisis, and The Metaskulk Invasion — and soon the Rise of the Phalanx saga for Icons Superpowered Roleplaying comes to its climatic conclusion with Reign of Chaos, where the heroes of Victory City learn the history of their predecessors and confront the mastermind behind the looming threat from Geistspace. Can they save the city, and the world, from the vengeance of Reign…? 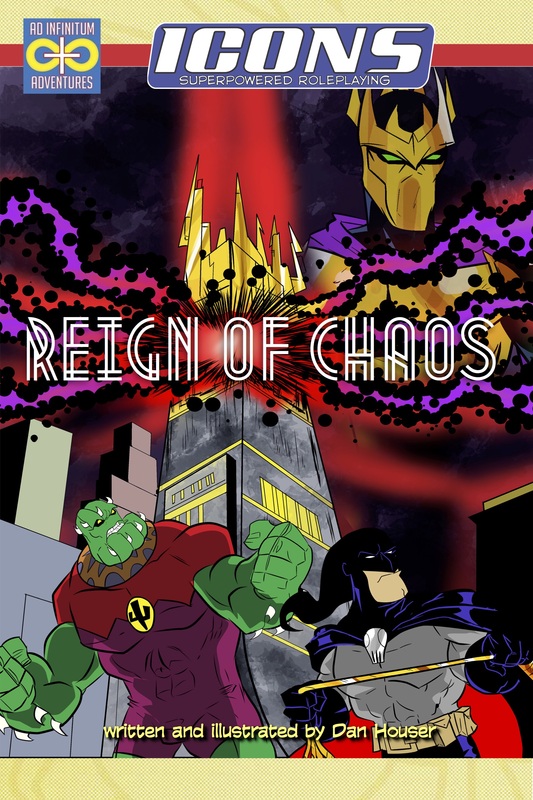 The Rise of the Phalanx series concludes in Reign of Chaos, written and illustrated by Dan Houser, coming soon from Ad Infinitum Adventures! This entry was posted in Publishing and tagged adventure, icons, phalanx, supeheroes. Bookmark the permalink.